You can’t visit the Lakes and not climb a fell! Considered by many as the definitive guide to the Lake District mountains, Alfred Wainwright’s seven volume Pictorial Guide to the Lakeland Fells is a must have for any visitor to the region. 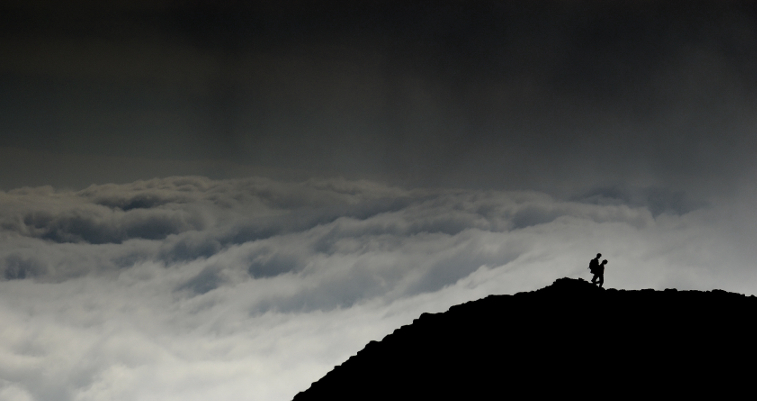 If you want to climb a few fells while you’re in the Lakes but not sure where to start, these guides are a great resource to consult – and they’re now a popular form of ‘peak bagging’. There are 214 in total, so if you want to see them all you’d better get cracking! 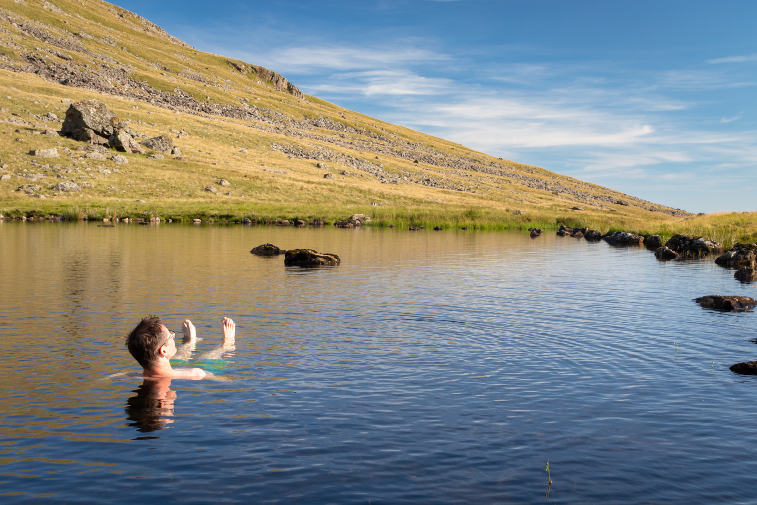 The Lake District is ideal for wild swimming – it’s right there in the name – and when done safely it can be an invigorating way to experience the region. The National Park website has guidelines for safe swimming, as well as information on some of the best lakes for a swim. Going for a dip halfway up a mountain in one of the region’s many tarns is also a unique experience – try Easedale Tarn near Grasmere, or if you’re adventurous and well prepared, Red Tarn right beneath the summit of Helvellyn – it’s the highest substantial body of water in England. We’re also situated just 50 metres from the shore of Bassenthwaite Lake, which is one of the shallowest in the area – meaning it benefits from warmer water. The Lake District is home to a number of enticing food festivals in 2019! Taste Cumbria is county’s biggest annual food and drink festival, and there are five different events through the year, with the very best of Cumbrian produce available to taste and buy in Kirkby Lonsdale, Ulverston, Whitehaven, and the flagship event in Cockermouth – just five miles from our park – with 80 different stalls, a hot food court, secret gin garden, chef demonstrations and masterclasses and much more. Cockermouth is also home to a special Christmas market in December. Alternatively, head to Muncaster Castle in May for a three day celebration of food, drink and all things Cumbrian, as part of their 5th Food and Drink Festival. Or, if you want to spice things up, why not visit the Holker Chilli Fest in September? Specialist chilli companies from all over the country will gather at Holker Hall and Gardens with cooking demonstrations and chilli eating competitions, as well as entertainment including fire eating performers. There are four different Michelin starred restaurants in the Lake District, each offering exquisite food and an unforgettable dining experience. The most famous is perhaps Simon Rogan’s L’Enclume in Cartmel, which was named best restaurant in Britain for four consecutive years by the Good Food Guide and featured in the BBC’s ‘The Trip’ with Steve Coogan and Rob Brydon. Other Michelin starred restaurants include L’Enclume’s sister restaurant, Rogan & Co, also run by Rogan in Cartmel, The Forest Side Hotel in Grasmere, run by head chef Kevin Tickle, and HRiSHi at the Gilpin Hotel in Windermere, run by Hrishikesh Desai. 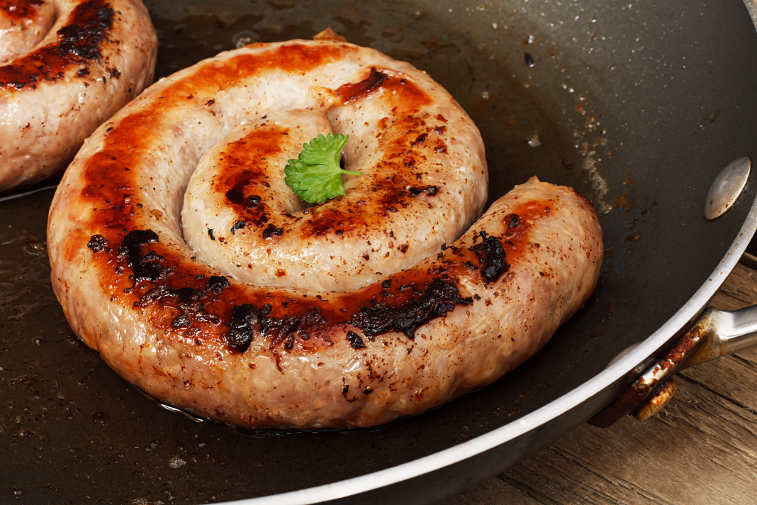 There’s a rich culinary heritage in the Lake District and it would be remiss of any visitor not to try some of the most famous dishes that are unique to the region. The first place to start is Kendal Mint Cake, a heady mix of mint and glucose that is perfect for giving you a much-needed energy boost when out on the fells – even Sir Edmund Hillary and his team carried it on their ascent of Mount Everest. Once you’re back on lower ground, join the ever-present queue at the Grasmere Gingerbread Shop; the top secret recipe is like no gingerbread you’ve ever tasted, and it’s well worth the wait. 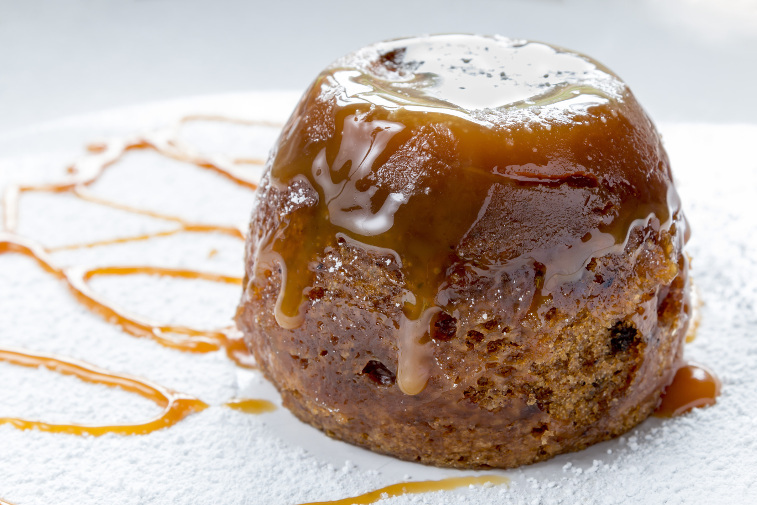 While you’re in the region you should also make the effort to eat a proper Cumberland Sausage – and for dessert indulge in sticky toffee pudding. You can thank us later. The narrow roads and steep, unforgiving climbs of the Lake District might not jump out as being particularly cycling friendly, but with such incredible scenery there is some absolutely perfect cycling country in the region, with routes for both the adventurous and for families – you can find some of the best at the Sustrans website. 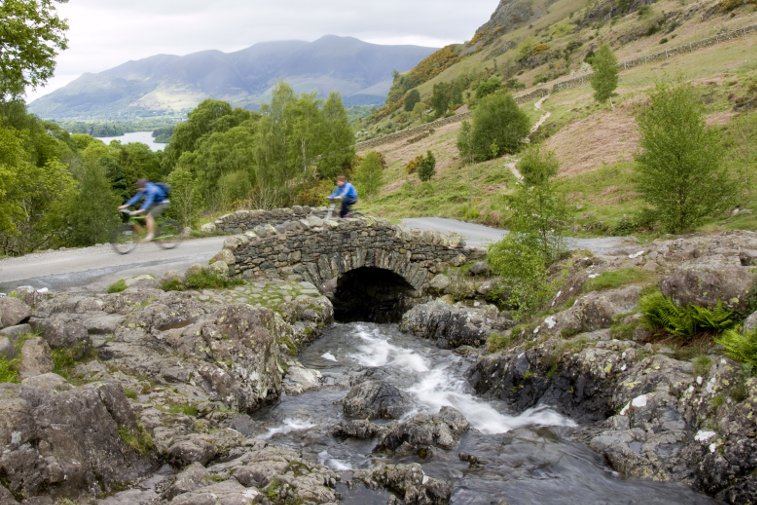 Both Whinlatter and Grizedale forests feature mountain bike trails, too, so you can have a proper off-road adventure on two wheels, giving you the opportunity to reach a peak on two wheels. If you’d prefer a much lower effort way to explore, you can still get about via two wheels – Go Ape offer Segway experience days at Whinlatter. 7. Or explore by boat! 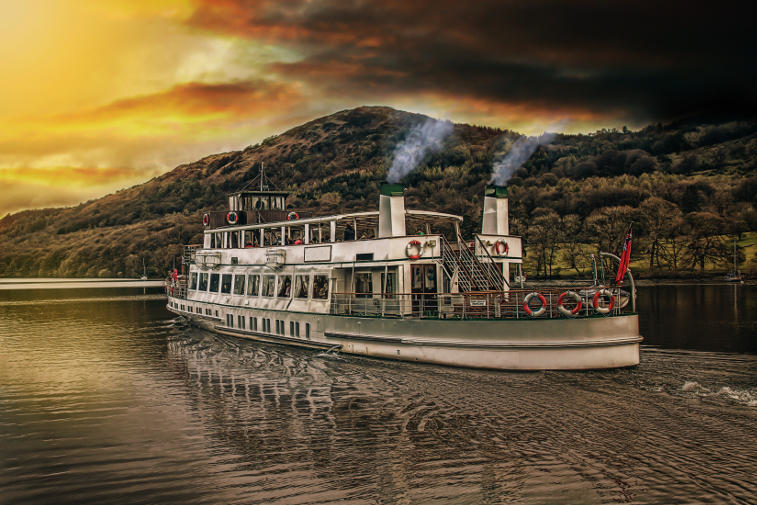 As you might imagine, there are a myriad of ways to explore the region’s many lakes by boat, whether it’s a steamer on Ullswater, a Derwentwater cruise from the Keswick Launch, the Steam Yacht Gondola on Coniston Water, or one of the many other boat launches that can ferry you about over the water. You can also hire canoes and kayaks, rowboats and paddle boards on almost all of the lakes, and even learn to sail! Regardless of how you get on the water, once you’re there you’ll be blown away by the incredible 360° views – it really is a completely different perspective. Windermere Jetty is a spectacular new museum on the shores of Windermere that showcases the sights, smells and sounds of life on the lake. 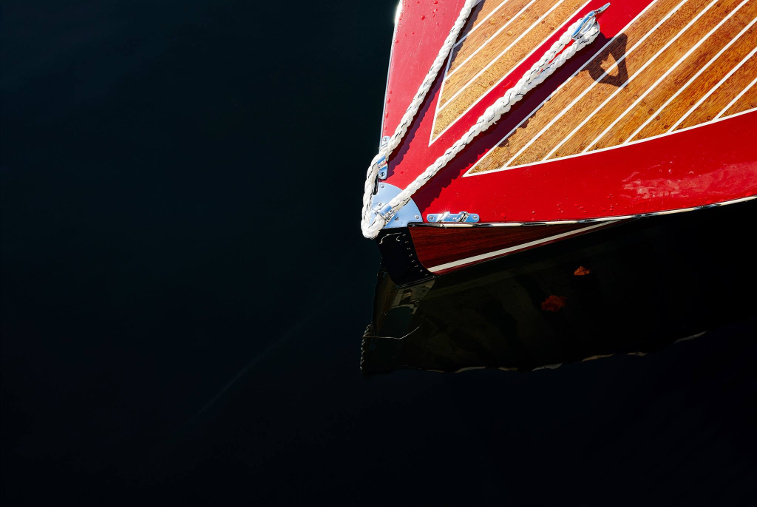 Due to open in March 2019, the museum is the exciting result of a £20million development by Lakeland Arts, and will feature interactive galleries of boats, steam and stories, immersing you in Windermere’s boating heritage. There will also be heritage boat trips, venturing out onto the lake on board Osprey, one of their fully restored Edwardian steam launches – and when you’re ready to take a break and relax, the lakeside cafe will offer spectacular views of the lake, whatever the weather. For a different sort of thrilling Lake District climb, head to Honister Slate Mine, located at the head of Honister Pass, high in the fells between Keswick and Buttermere. Here you’ll find the Via Ferrata, an award-winning climb following the original miners track up the steep outer incline of Fleetwith Pike, using cables, ladders and rungs fixed to the rock face – the added continuous cable means it is safe and suitable for anyone over the age of 10, but this doesn’t make it any less thrilling and adrenaline-fuelled. 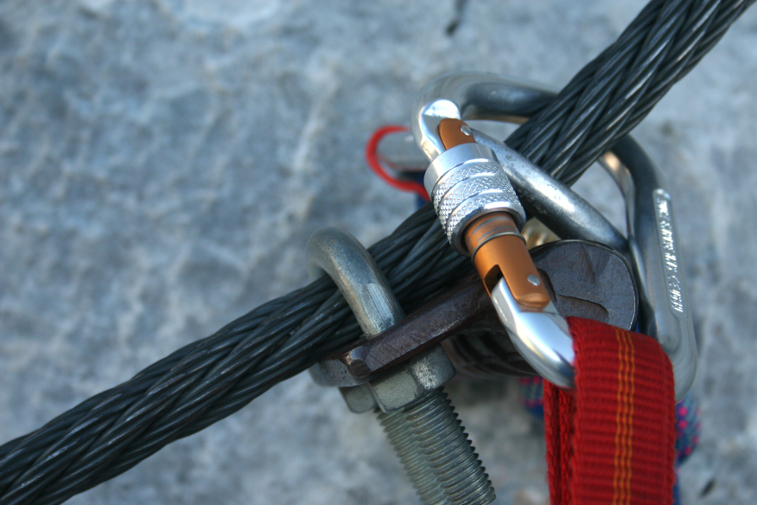 For an even greater challenge, there is also an ‘Xtreme’ route, with added edge exposure, vertical climbs, cliff edge ladders and cargo net crossing. 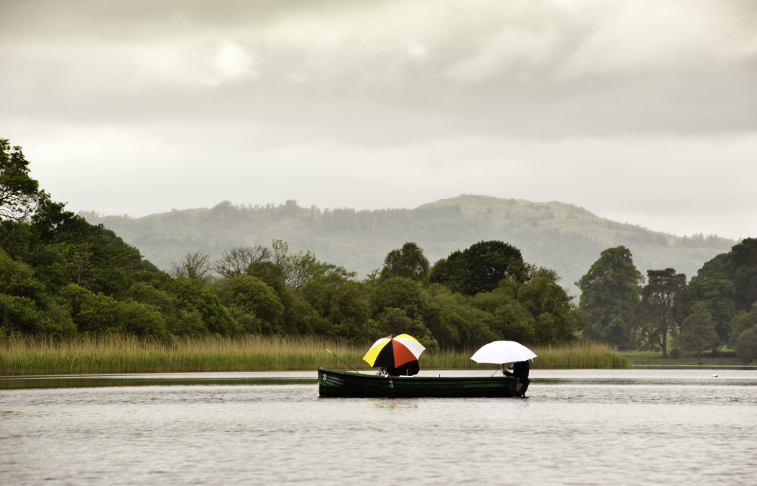 You haven’t really experienced the Lake District until you’ve been caught in one of its signature rain showers – it’s where the lakes come from, after all. Don’t let a bit of rain put you off though; while you don’t want to be venturing up a fell in low visibility, there are still so many low level walks you can enjoy that aren’t in any way spoiled by some wet weather – after all, as Wainwright said, “there’s no such thing as bad weather, only unsuitable clothing.” Dress appropriately and you’ll be just fine – and it’ll make that post-walk trip to the pub all the more enjoyable. The Lake District’s status as a World Heritage site and must-see tourist destination sometimes means that the region’s agricultural heritage can be forgotten or overlooked – but it boasts a rich farming tradition that is celebrated every year in a number of different agriculture shows throughout the Lake District. The Cumberland Show, for instance, dates back over 180 years, while the Penrith Show was first held way back in 1834. 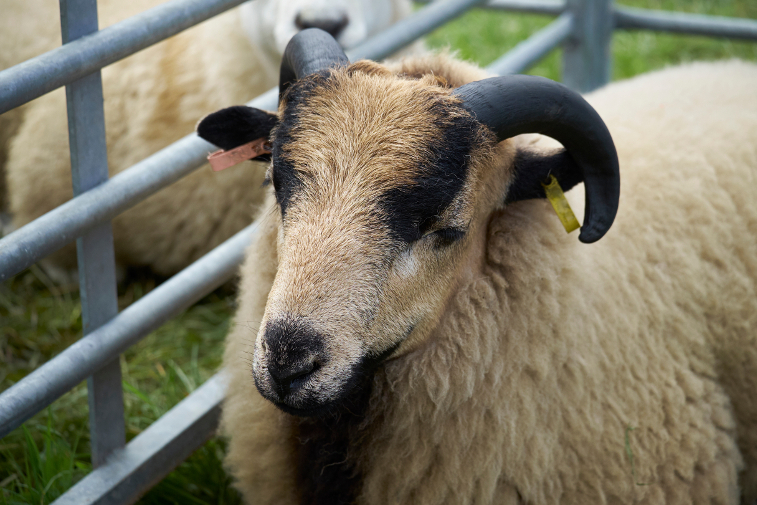 These events are always great to visit, with livestock classes judging the best in show for cattle, sheep, horses, or poultry; vintage vehicle competitions; traditional games like Cumberland Wrestling; marquees; food halls; trade stands; children’s amusements, and much, much more. There are shows held in pretty much every part of the Lake District, usually in the summer. This relatively new addition to the Lake District only opened its doors in December 2014, but it’s already swept up numerous awards over the last few years. Producing whisky, gin, and vodka, the Lakes Distillery was named ‘one of the best new distilleries in the world’ by Time Out in 2016, and with good reason. Just down the road from us on the edge of Bassenthwaite Lake, there are daily tours and tastings, and you can even meet their alpacas on weekends. There’s a fully stocked shop, so you can take home a souvenir to savour, and the on-site bistro is award-winning, too. With a rich history that dates back thousands of years, there are loads of historic sites that are well worth seeing while you’re in the region. Cumbria is home to several Neolithic stone circles, one of the most of any region in the country, each with a fascinating history that mystifies scholars to this day. Castlerigg Stone Circle near Keswick is the oldest remaining stone circle in England, dating back 5,000 years, and is also one of the most dramatic, surrounded by some of the highest peaks in the Lake District. Long Meg and Her Daughters, in Little Salkeld, has a chilling tale of folklore to enjoy – legend has it that they’re actually a witch and her daughters who were turned to stone! You’re also not too far from Hadrian’s Wall here, so there are some superb Roman sites to see too. High Street Roman Road dates back 2,000 years, and traverses some spectacular scenery high up in the fells – the highest of them, High Street, is in fact named after the road itself. One of the most remote Roman forts in the country can also be found in the Lake District, at Hardknott Roman Fort – it’s also one of the most dramatically sited, with stunning views of the Eskdale Valley. One of the world’s most acclaimed children’s authors, Beatrix Potter called the Lake District home for nearly 40 years, and there are plenty of different places you can visit to celebrate her legacy. Hill Top Farm, where she first lived in the Lake District, is one of the region’s most popular tourist attractions, left just as it was when it was her home. Potter left it, along with more than 4,000 acres of land, to the National Trust upon her death, and it served as inspiration for many of her tales. The author first fell in love with the region on a family holiday to Wray Castle at age 16, which is another superb tourist destination well worth a visit – it’s filled with family-friendly rooms where children can play. 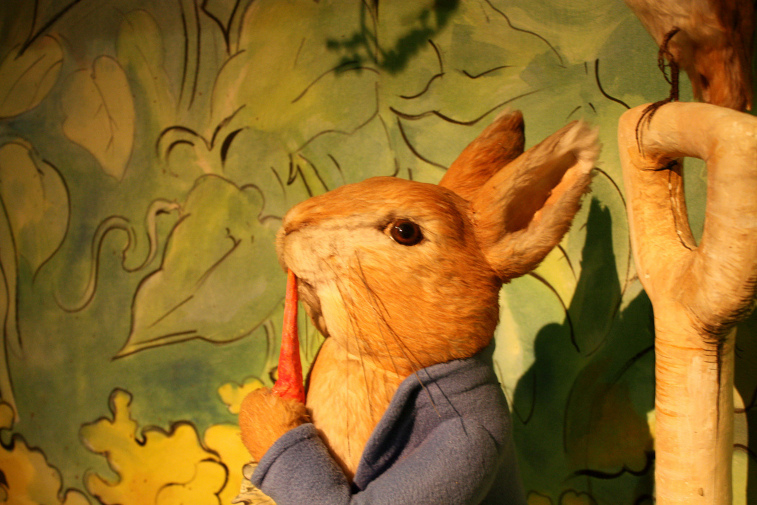 Of course, the World of Beatrix Potter attraction at Bowness on Windermere is a must visit for any fan of her work, especially young children, a fully immersive experience that brings all of Beatrix Potter’s beloved characters to life. The Lake Poets – a group of English poets who played a big part of the Romantic Movement of the early part of the nineteenth century – were all inspired by and lived in the Lake District, and their works inspired others to start visiting the area, too, helping to lay the groundwork for it being the world famous tourist destination we know today. The most famous of these was William Wordsworth, and there are quite a few different places you can visit that celebrate his life and works. 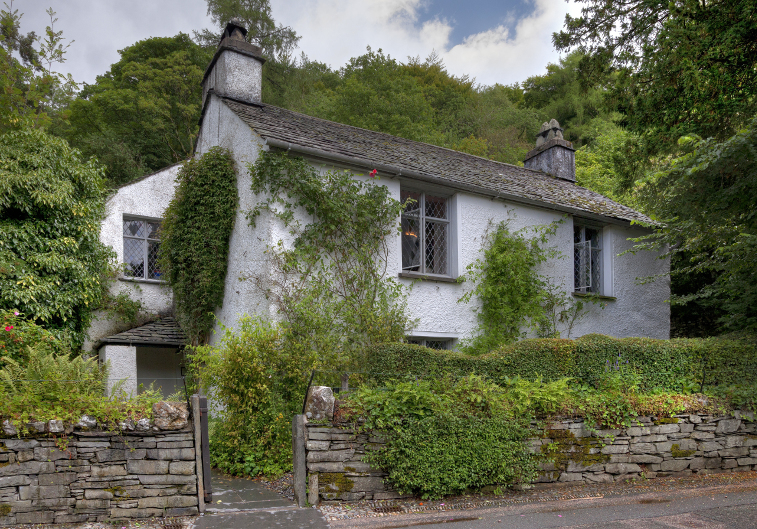 Dove Cottage in Grasmere, where Wordsworth lived for 10 years and produced much of his work, has been faithfully restored and turned into a museum showcasing how he and his family would have lived at the start of the nineteenth century. Wordsworth spent most his time living at Rydal Mount, in Ambleside, from 1813 until his death in 1850, and his stunning gardens – that he designed himself – and writing spaces are well worth exploring. In the middle of summer, the Lake District becomes home to hundreds of classic cars, bikes, vans and other vehicles, evoking a bygone era that is irresistible to petrolheads and nostalgics alike. 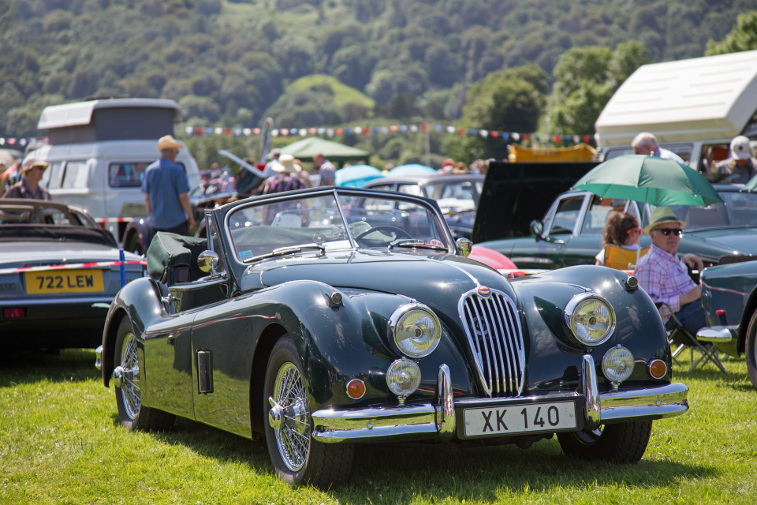 Held at the edge of Grasmere, on June 16 this year, there couldn’t be a more picturesque setting for this charming display of vintage vehicles. Aside from the awards given out by the judges, there are also other challenges such a car pull competition and pit stop challenge. Car lovers can also see some superb classic vehicles all year round at the Lakeland Motor Museum, near Newby Bridge – there are over 30,000 exhibits here, including 140 classic cars and motorbikes. Film lovers will find something for all tastes at the Keswick Film Festival, with an eclectic mix of films to enjoy – from indies to blockbusters, local productions to world cinema, brand new releases to old classics. The festival is now into its 20th year, and is held primarily at the Alhambra Cinema and Theatre by the Lake in Keswick, with a few screenings at Rheged near Penrith, too. 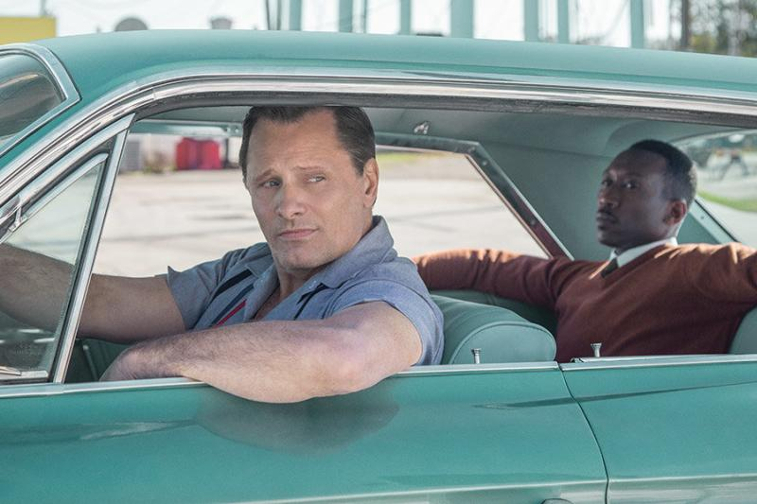 Oscars front runner Green Book is amongst the films being shown this year, while the festival opens with Jellyfish, already an award-winner at several other festivals around Europe. You can find the full film programme on the festival’s official website. No matter your music taste you’re well catered for by the surprisingly extensive music festival scene in the Lake District this summer. The biggest of them all is Kendal Calling, which promises to bigger than ever in 2019 – past acts have included The Libertines, Catfish & The Bottlemen, Dizzee Rascal, Calvin Harris, Blondie, Manic Street Preachers, Snoop Dogg and many more big names. If that’s not your bag, you may be more tempted by the Keswick Jazz and Blues Festival, taking place in May – the UK’s largest celebration of Jazz – or the Lake District Summer Music International Festival (LDSM), held across various locations in the Lake District, with chamber music at its heart. This is just a taste of the many different festivals though – you can see an excellent breakdown of them all here. While some of the mountains and routes in the Lake District do have a higher degree of difficulty and feature rugged terrain, there is still so much of the region that is easily accessible and climbable for the whole family. 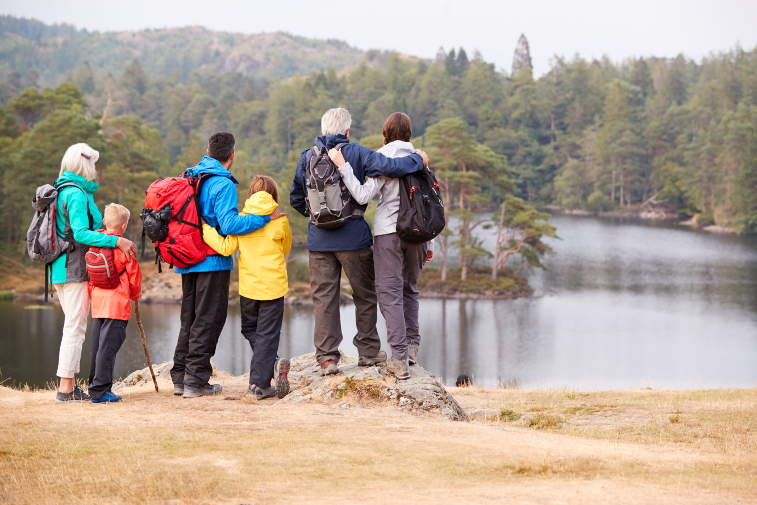 Those with very young children can benefit from the Miles Without Stiles routes, that allow you to comfortably take the pushchairs and buggies out with you, while we’ve also put together 10 great Family-Friendly Walks that can be tackled by little legs – and spark the same lifelong love affair with the Lake District that so many of us have had since we were little ones! 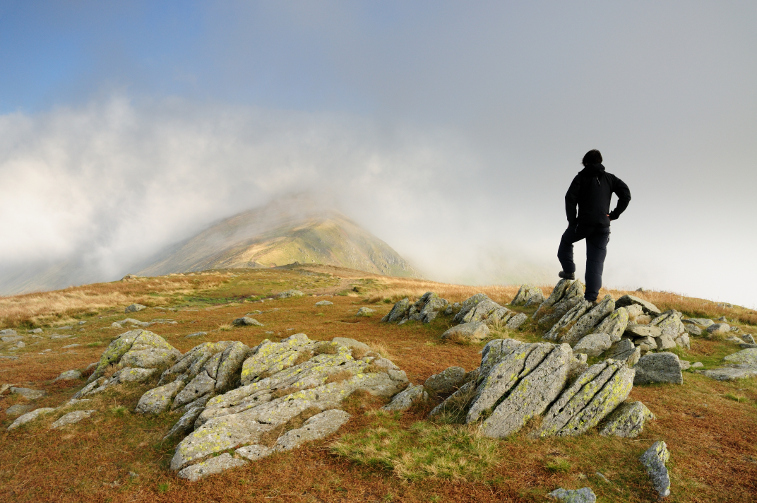 We hope you’ve found some inspiration for your next holiday in the Lake District! We’d love to welcome you and your family to our caravan and holiday park set on the shores of beautiful Bassenthwaite Lake – a lot of these things are right on our doorstep. Click here to view our facilities and book online. We also have a luxurious holiday cottage that sleeps up to 8 people, find out more here.